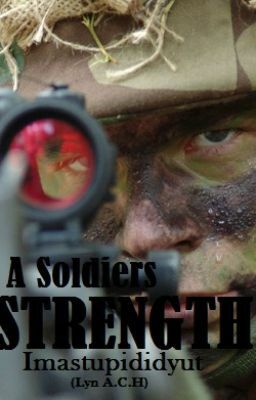 A soldiers strength. Who's to say that the soldier has to be in some army with a gun in his hand and a big knife strapped to his hip? This world is filled with many soldiers and I know of two of them. Me, and him. But both of us have an inborn strength and a will to survive what life had dealt to us over the years. I don't know where the man who saved me got his strength from, but I do know that his strength is what saved me. I didn't know until later that it was my strength and determination that eventually saved the man I eventually came to know as 'Knox' in more ways than one.